There are two different boxing office pools listed on this page. The first pool listed simply uses the round and the winner of the match to detemine the pool winner. There are a total of 26 name spaces for this pool. 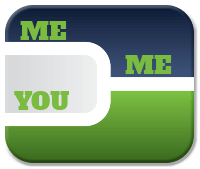 You will first need to determine how many spaces each participant wants. 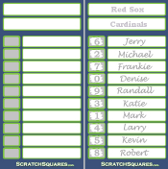 You will then put each participant's name in a hat(if a participant has chosen to have more than one space, their name will go into the hat multiple times). 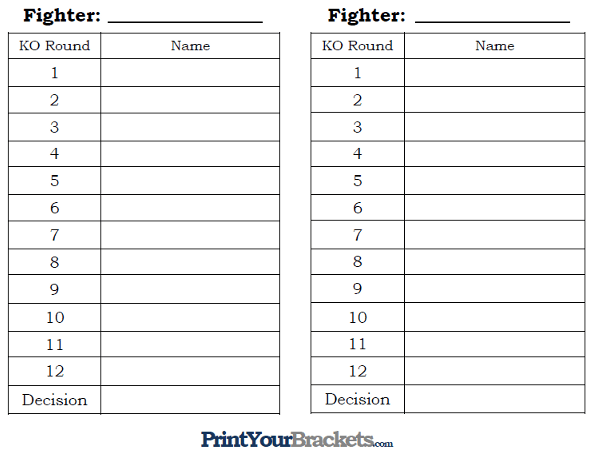 Begin drawing names, placing the first name beside KO Round 1 on the left side, second name drawn beside KO Round 1 on the right side. Alternate until all name spaces are filled. To win this pool, you will simply see which round the fight ends in and who the winner was. This participant with their name in that space is the winner. Check Out Our New 10 Line Scratch Off Cards! This 10 Line Boxing Office Pool is perfect for the next big fight. The print-out below allows you to run 3 different 10 Line Pools on the same sheet, it's also available as one game per sheet. Simply have the participants of the pool write their name on the line or lines of their choice. Once the 10 lines are full, randomly draw the numbers 0-9 and place them in the boxes beside each line. 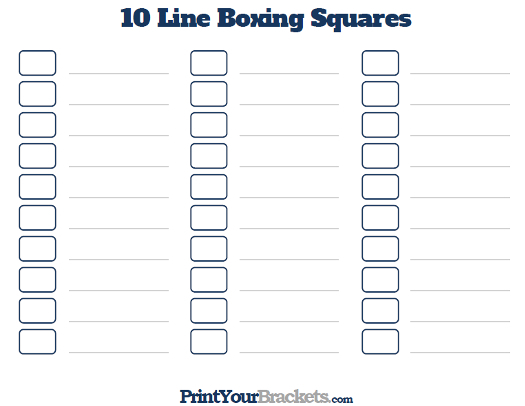 To determine a winning square you will add together the total minutes of the fight(rounded up to next minute) and the round in which the fight ends. 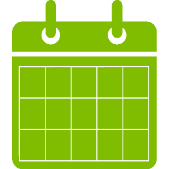 The minutes total count starts with 1 from the first 0-60 seconds, then 2 for 1:00 to 2:00 minutes and so on. If the total number is double digits, you will use the last digit. Example of a Winning Square: The fight is stopped at 2 Minutes and 12 seconds in the 6th round. The person with their name beside the number 4(last digit of 18+4) would be the winner.